Outstanding Del Mar Early Graduates* with our awesome staff! 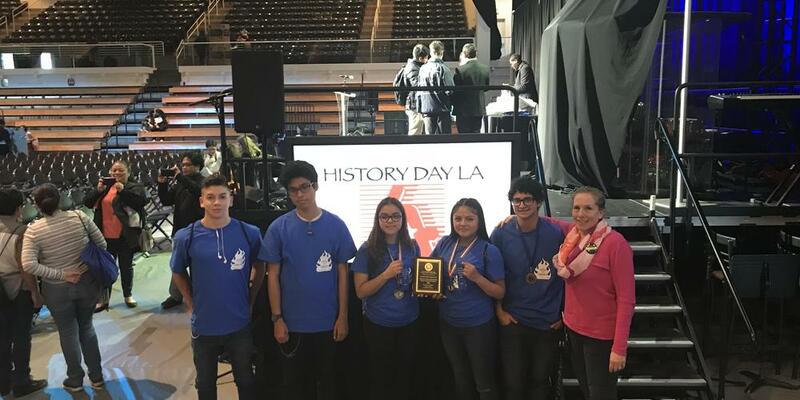 Ms. Cheng, Mrs. Masri,* Andrea Quevado, Mrs. Villasenor, *Alize Oviedo, Mr. Lemus, *Jenifer Melara, *Jonathan Garcia, Mr. Botts, *Gio Carrasco, Mrs. Kloster. Ms. Villasenor’s class working on their Design Based Learning Project. Mrs. Masri’s Science Class working on their Design Based Learning Project. A very scary school day!! Happy Halloween from the Del Mar Family!!! Armando Talamantes being sworn in as Student Board Representative by SGUSD Governing Board President Cristina Alvarado. Del Mar staff at California Model Continuation High School Awards Dinner. State Qualifier Sergio Landeros and Mrs. Kloster. 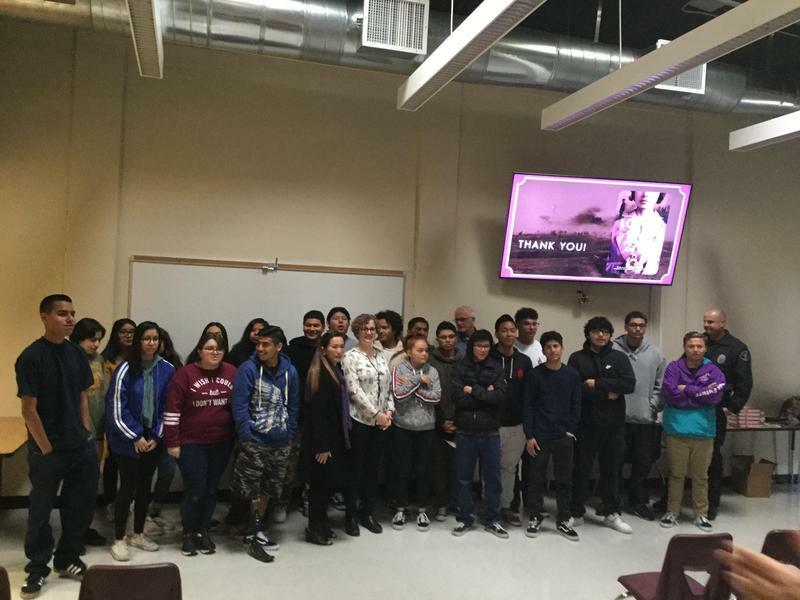 Congratulations on an outstanding showing at Azusa Pacific! Del Mar Students and Staff proudly participate in the national #Enough Walkout supporting an end to gun violence. 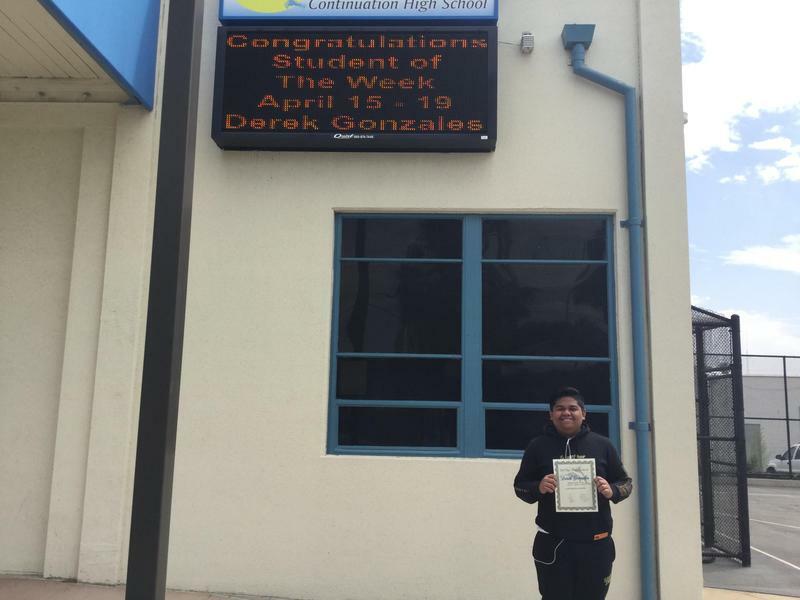 Congratulations to our Student of the Week for April 15-19, Derek Gonzales. Derek was selected by his teachers because of his hard work since coming to Del Mar. Derek came to us for the second semester of his senior year. He was behind in credits and needed to do a lot of work to catch up. He immediately began completing small chunks of work that have produced large rewards. As he has had success, he has not only repaired some of his credits, he feels positively about the work he is doing and he is turning excellent quality as well. Derek has become a quiet leader on the campus with the almost immediate success he has achieved. Congrats Derek, we are very proud of you!